5 nights Antigua, including breakfast; 5 nights The Sandpiper, including breakfast. Includes flights and transfers. 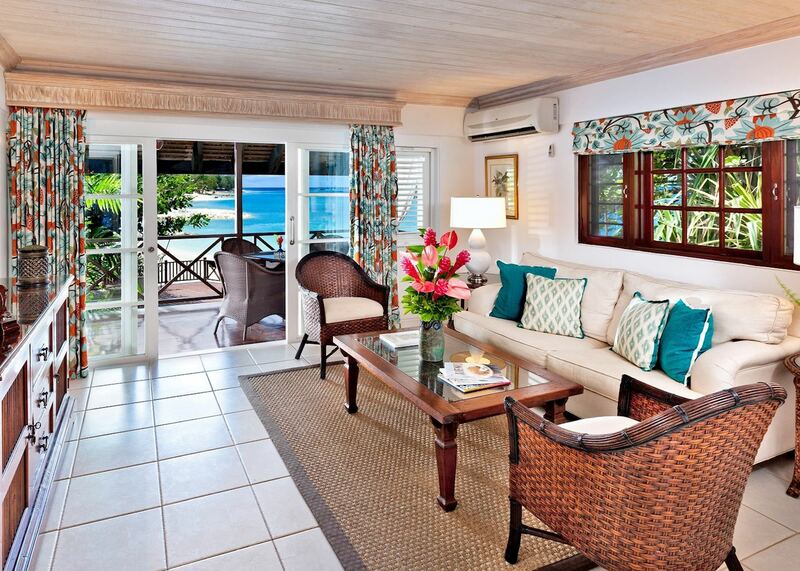 Set in lush tropical gardens on a quiet, sandy cove, Sandpiper is one of the most exclusive hotels in the region. 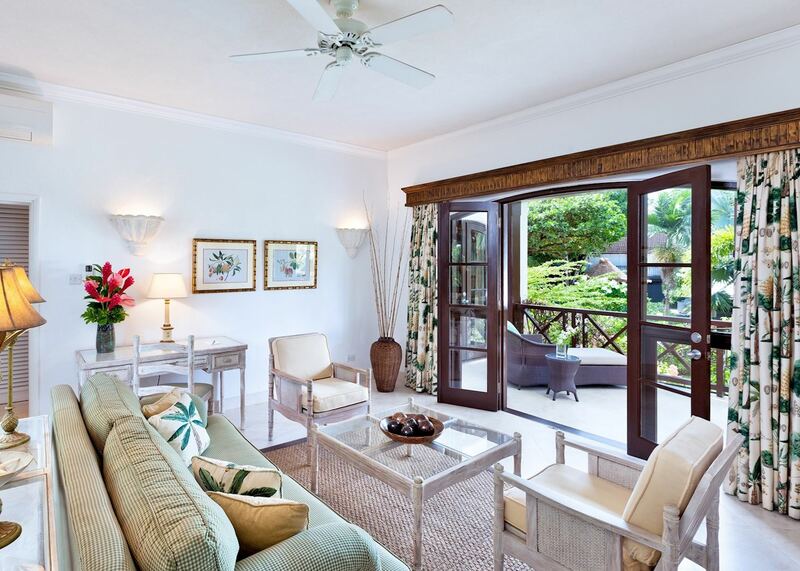 This family-run property is also one of the most enduringly popular thanks to its relaxed atmosphere and old-school-charm. 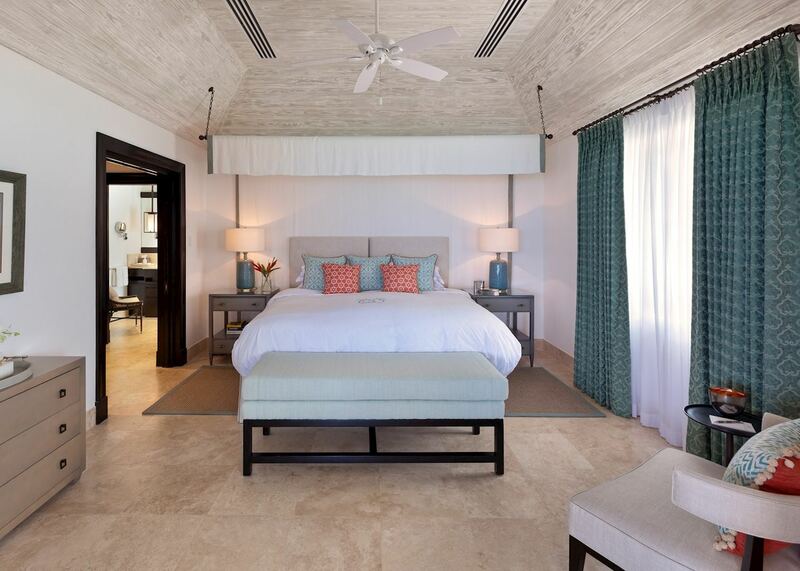 A special combination of understated elegance, meticulous attention to detail and exemplary staffing ensures guests return to Sandpiper year after year. It's the kind of place where honeymooners and multi-generation families feel equally valued, and everyone comes away feeling relaxed and pampered. 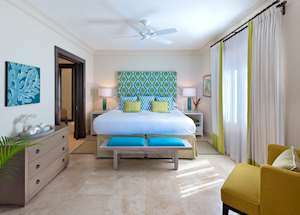 The hotel is ideally located on the sought-after west coast of Barbados, close to the bars and restaurants of Holetown and not far from the capital, Bridgetown. Not that you will need to travel far to dine however, the hotel's own restaurant is one of the most popular on the island with superb dishes that fuse European and Asian techniques with Caribbean flair. 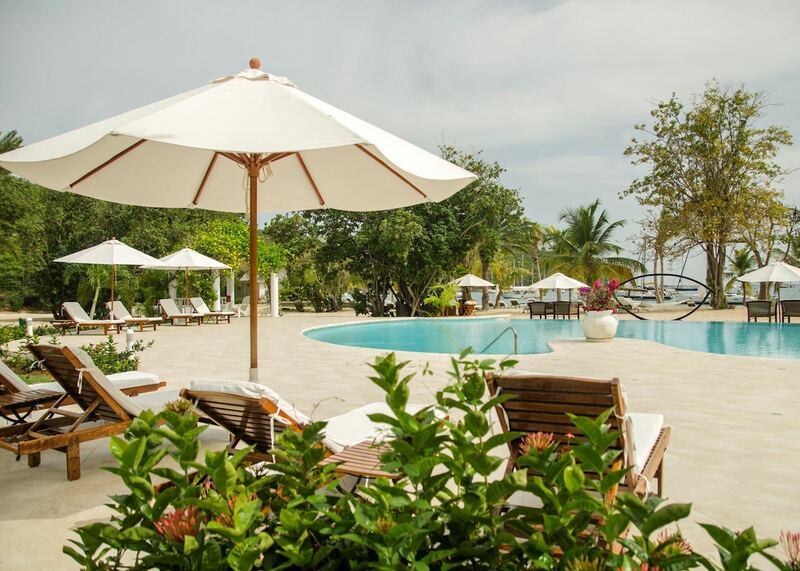 The hotel offers two beautiful pools and complimentary non-motorised water sports such as sailing, kayaking and paddle boarding. Sandpiper also has a gym and tennis courts and special children's activities. 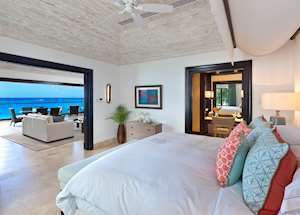 Guests can also use the sublime spa and dive school at Coral Reef, Sandpiper's sister hotel, nearby. 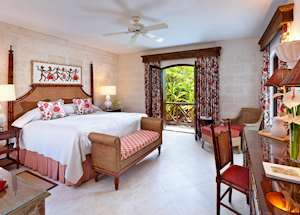 Sandpiper has 50 charming rooms and suites decorated in a classic style blending Caribbean and country house elements. Garden Rooms are supplemented by one and two bedroom suites, many with ocean views. 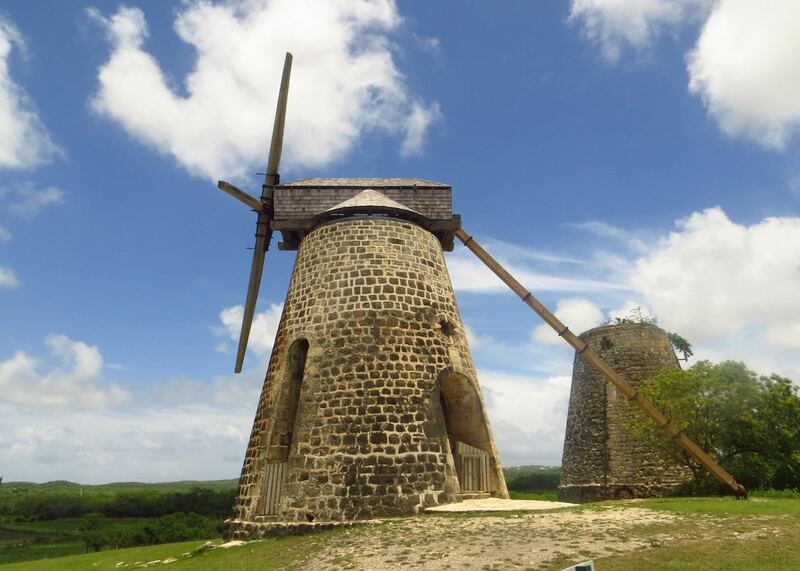 Laid back and incredibly friendly, Antigua has a distinctly colonial character with its patchwork of architectural styles and impressive military ruins. 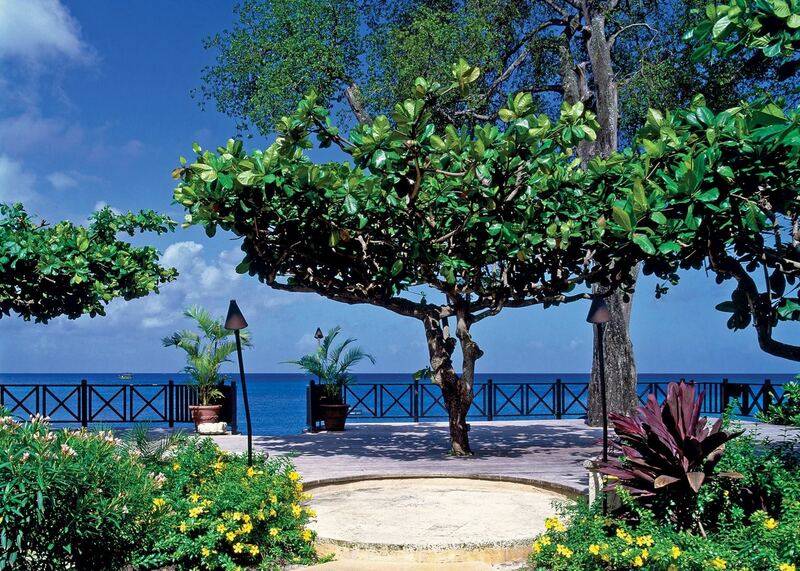 Along with exquisite beaches, it offers a wonderful combination of history and near idle recreation. 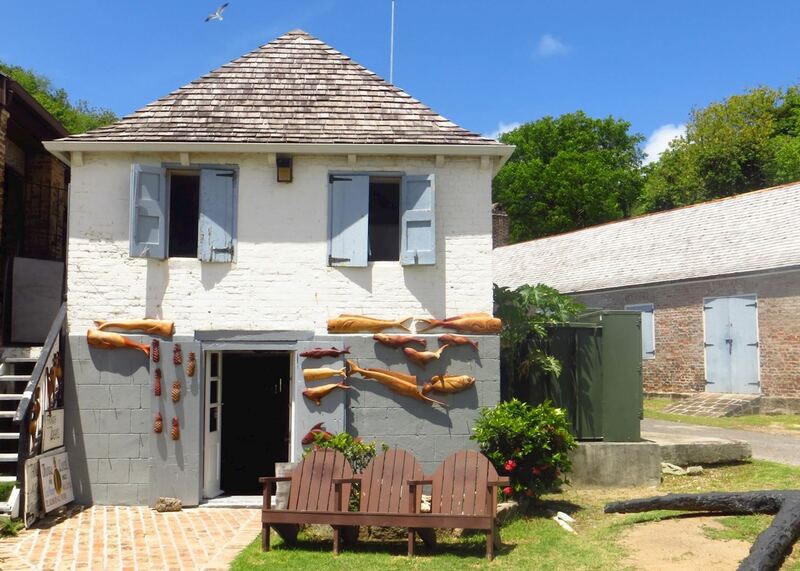 The island's heritage is explored in the museum at Nelson's Dockyard, a restored Georgian marina, and at Shirley Heights, where 18th-century military fortifications now house a bar and restaurant. The island's beaches however, are understandably its greatest draw and vary from busy strands with lively bars to deserted coves reached on foot. Seriously stylish and set in one of the most picturesque parts of the island, the Inn at English Harbour blends colonial charm and exquisite Italian styling. 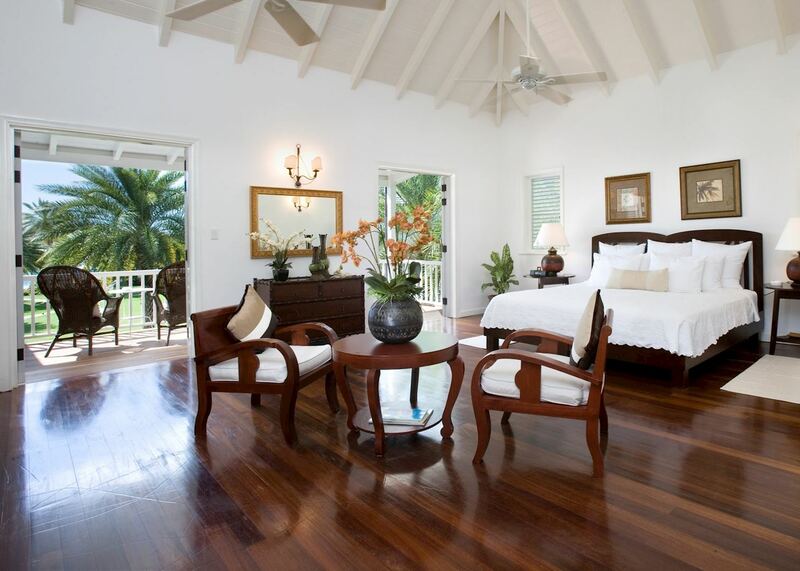 With a relaxed atmosphere and an excellent restaurant, this boutique hotel makes a superb retreat. 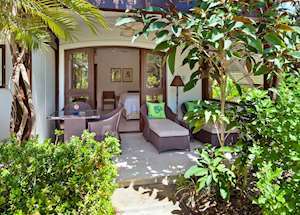 Set on a sandy cove on the sought after west coast, this family-run hotel has been lovingly cared for by the O’Hara family since they built the property in 1970. 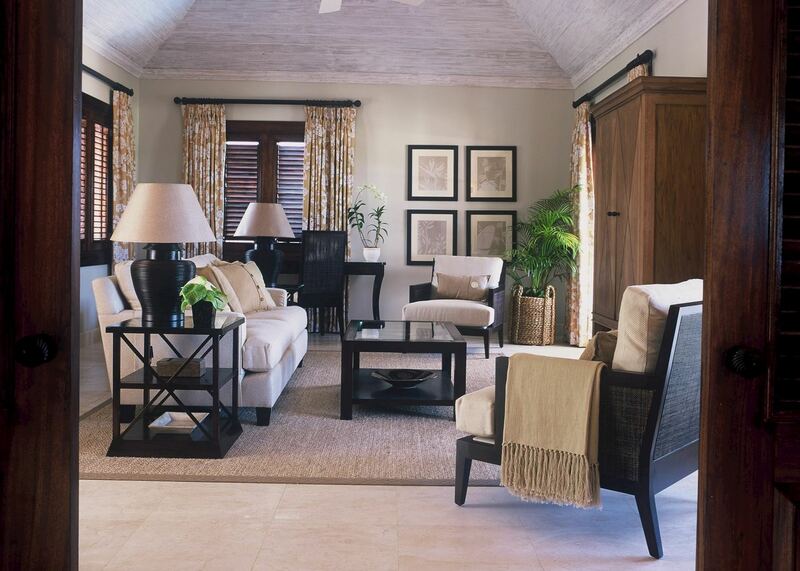 Having continually upgraded and invested year after year, it’s no wonder their guests keep on coming back. 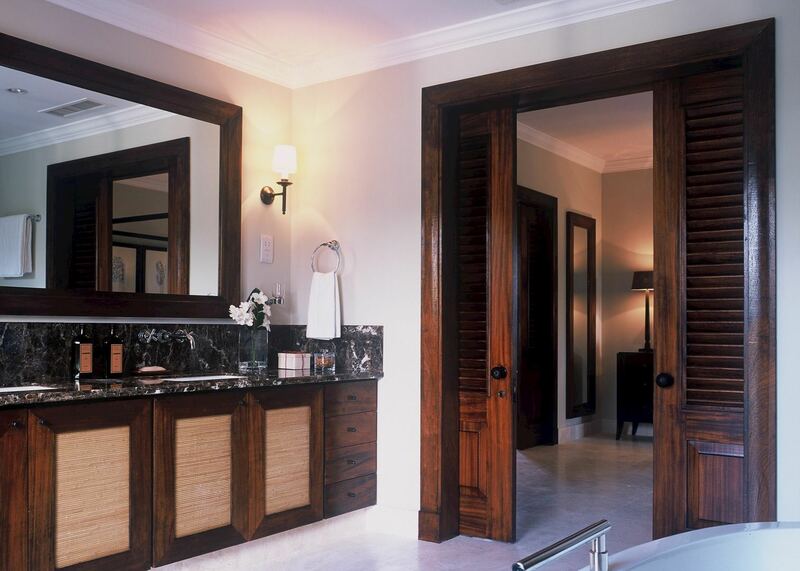 The meticulous attention to detail is evident in every corner of the hotel, and the friendly staff ensure everyone who stays here feels relaxed and pampered. 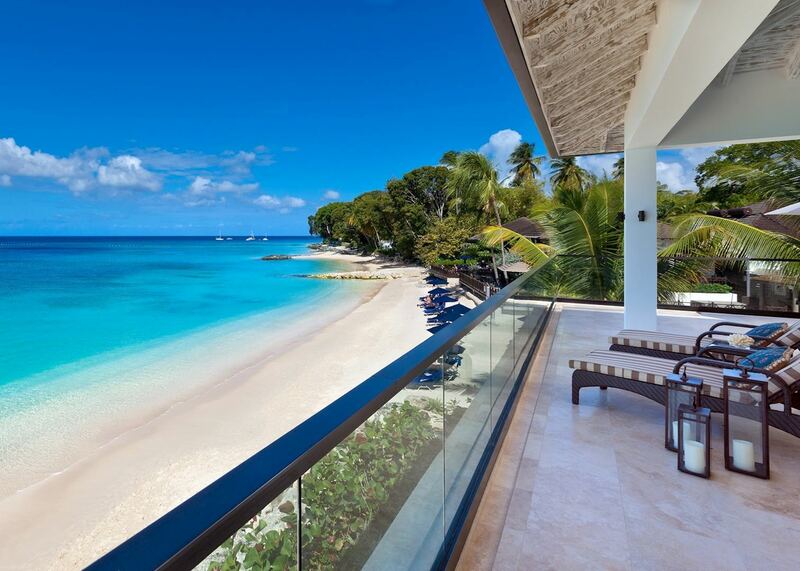 This is the sort of hotel where honeymooners and families feel equally valued. 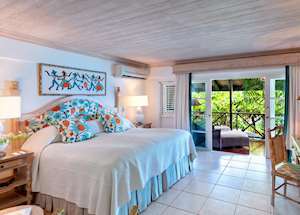 There’s a traditional Caribbean feel to the rooms with white-washed walls, locally sourced rattan furniture and Creole artwork on the walls. 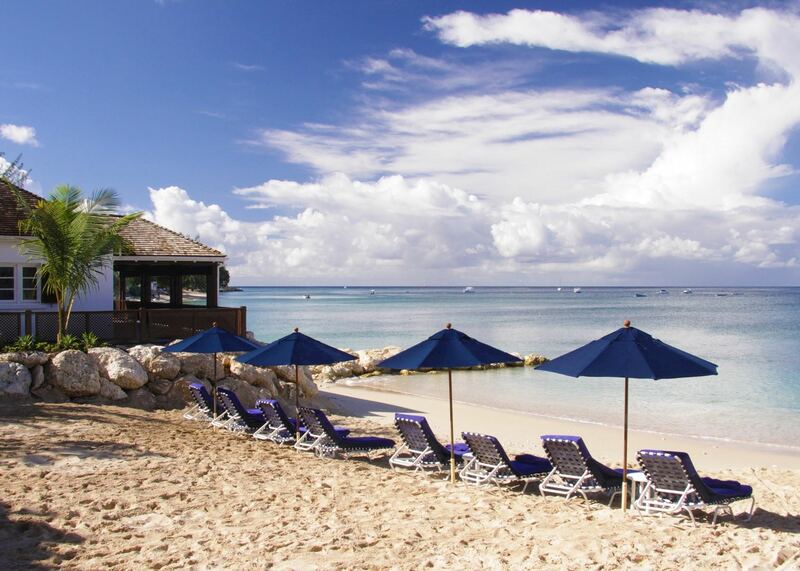 While the hotel is set in its own bay, there are a selection of bars, shops and restaurants a short walk away — although the on-site restaurant is one of the most popular on the island. 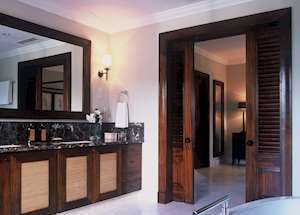 The Sandpiper is also a member of Small Luxury Hotels of the World. Children are welcome at all times except between 20 January and 28 February. However, the hotel doesn’t allow children under five years to dine in the restaurant after 7pm, instead they offer a dinner service in-room. The Sandpiper will also cater for babies by purifying fresh fruit and vegetables. 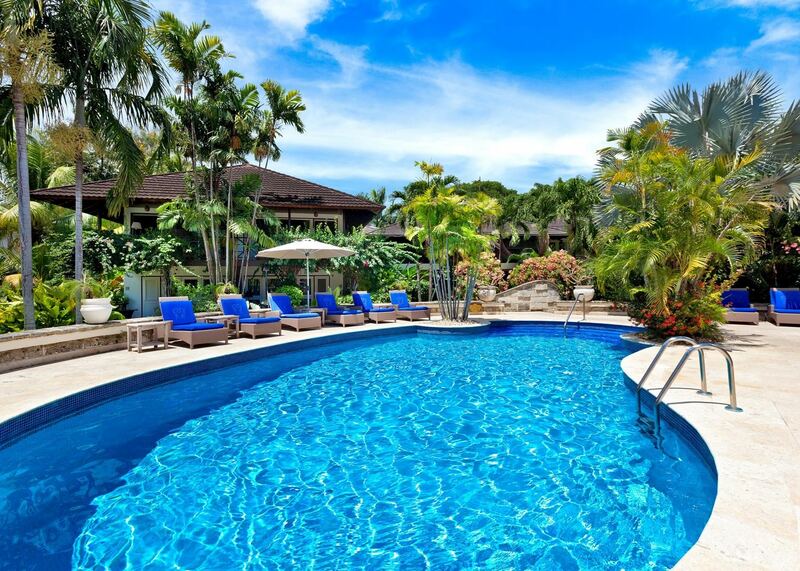 The hotel offers a special summer family programme for children aged 2 -12 years and there’s also a playground at their sister hotel, Coral Reef, which is a 2-minute drive away. 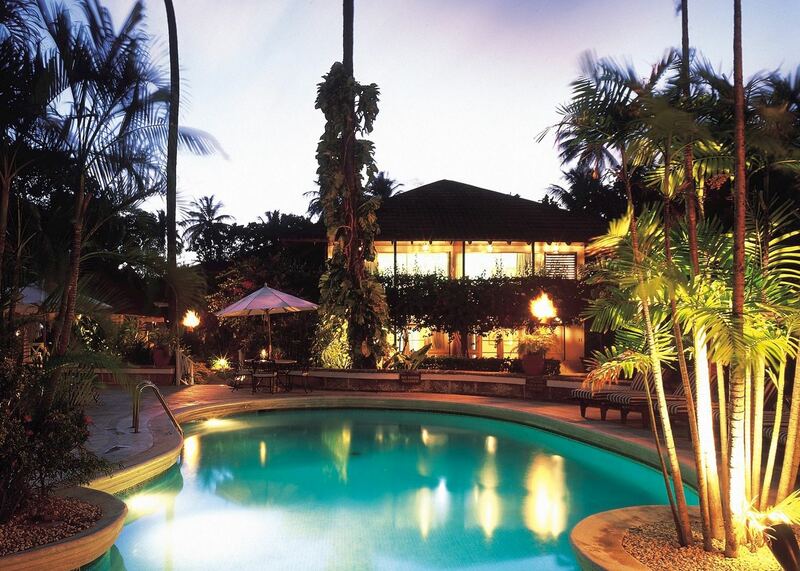 The hotel is set in palm-fringed tropical gardens in a quiet sandy cove on the west coast of the island. 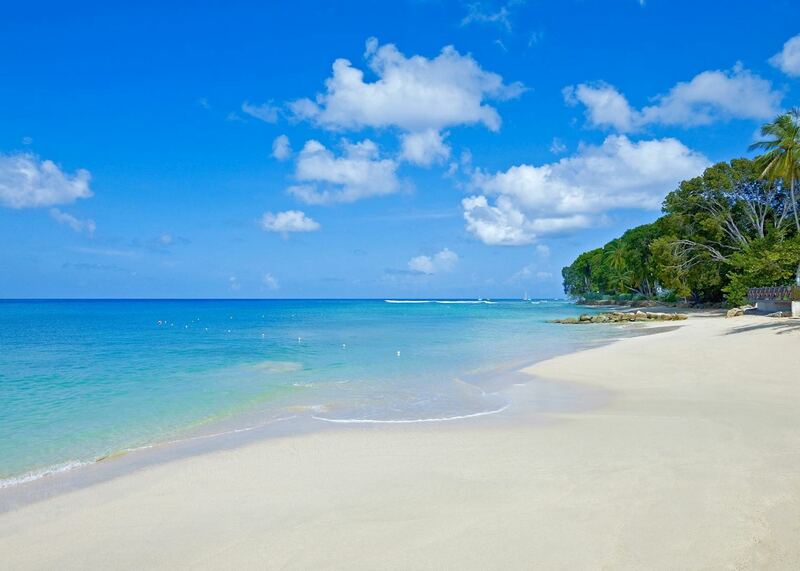 Whilst none of the beaches on Barbados are private, the arc of the coastline makes the Sandpiper’s stretch of sand feel very exclusive. 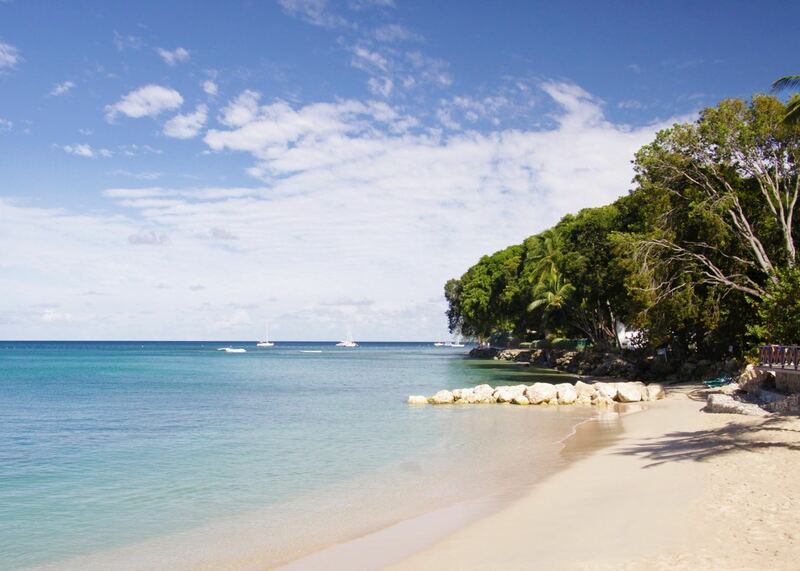 The bars, restaurants and shops of Holetown are close by, whilst the capital, Bridgetown, is only 12 km (8 miles) away and easily reached by local bus or taxi. 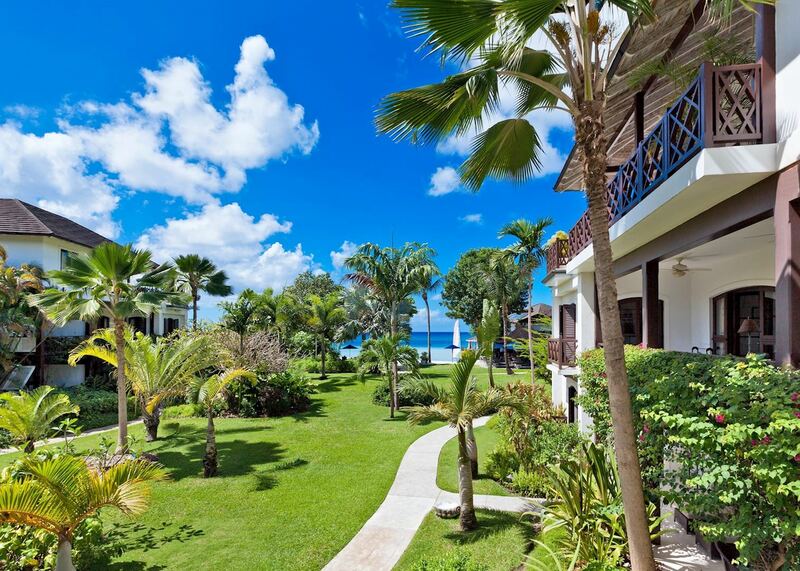 The west coast of Barbados is lined with a wide variety of resorts but The Sandpiper’s setting, tucked amongst beautiful gardens makes it feel a little more secluded, whilst still leaving guests free to try a wide range of dining nearby. 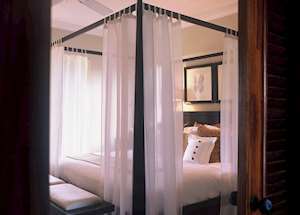 The Sandpiper’s understated elegance and charm makes this our top luxury west coast hotel. We feel it’s an ideal choice for those looking for the personal service of a smaller hotel, and want to enjoy high-quality dining on-site. 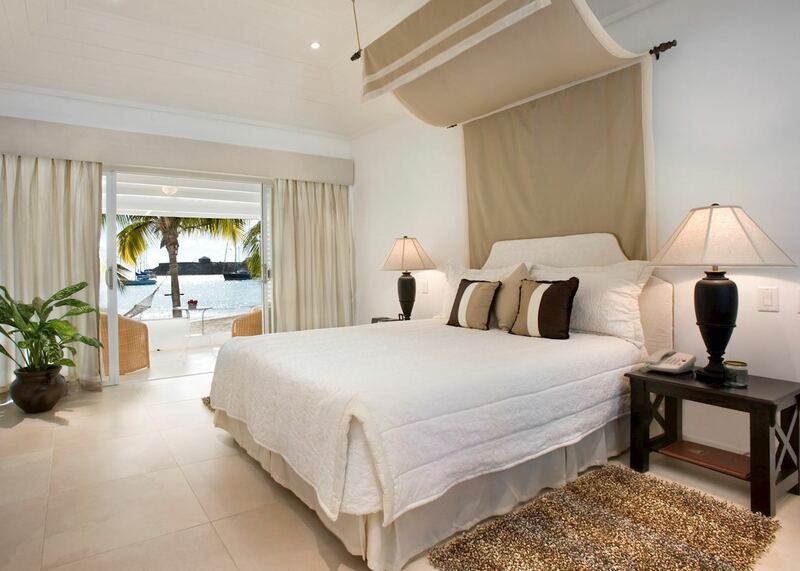 The Sandpiper wouldn't particularly suit those looking for huge amounts of facilities, but the staff are very helpful if there is something particular you would like to do. The 50 well-appointed rooms and suites have a décor that blends colonial timber-cladding and rattan furniture with traditional Bajan fabrics and artwork for an old-school Caribbean feel. 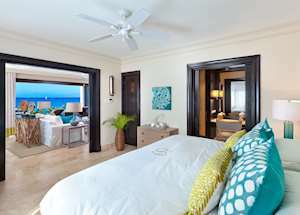 All feature king or twin beds, air-conditioning and a fridge. 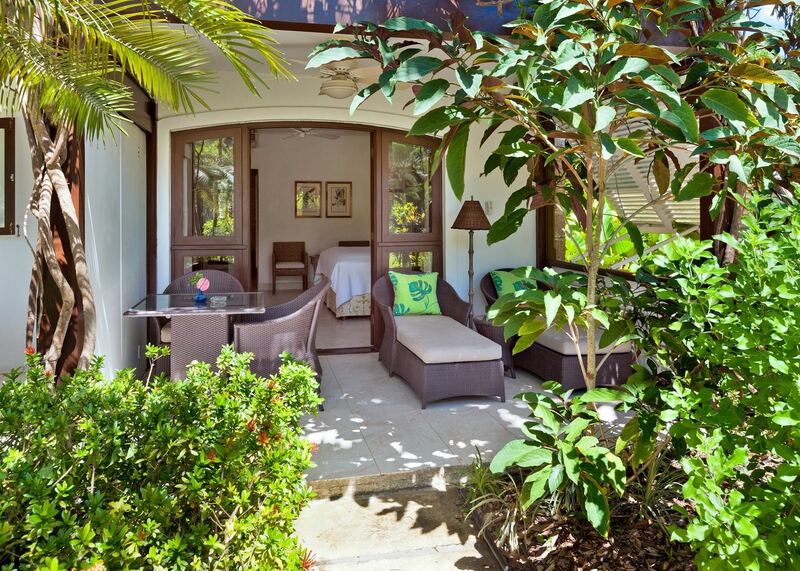 They also have a balcony or terrace overlooking the gardens, pool or ocean. 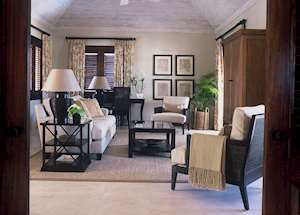 There are no televisions in the room but a flat screen TV (local channels only) and DVD are available on request. 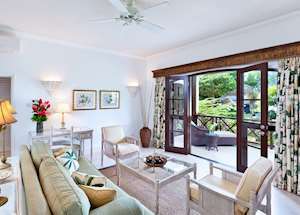 The Garden Rooms are tucked away in the gardens and are ideal for couples. 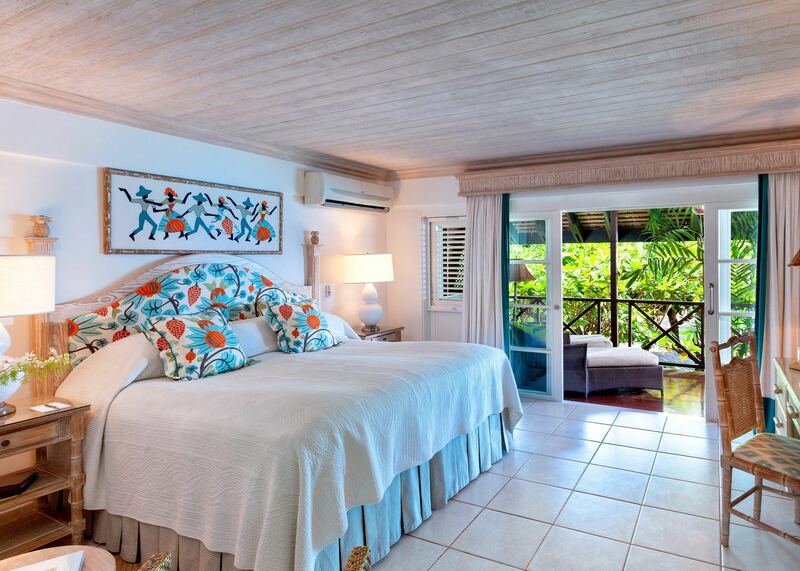 The bedroom has double doors that open out into a veranda with garden views. 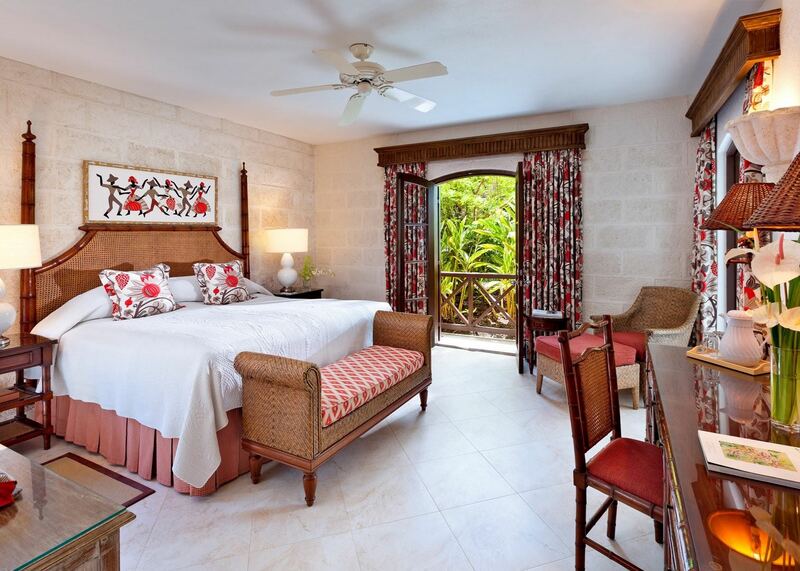 If you want a bit more space, the one bedroom suites are ideal. They have a separate living room and kitchenette, as well as a sofa bed which will accommodate two small children or an extra adult. 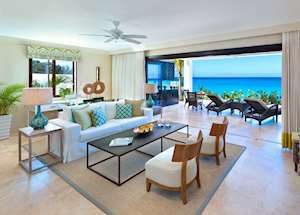 There are two beach house suites. 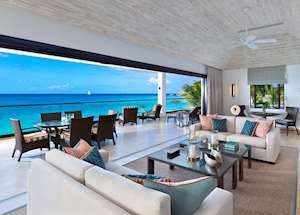 They have a large patio overlooking the sea, a separate living room, a bedroom, dressing area and bathroom. 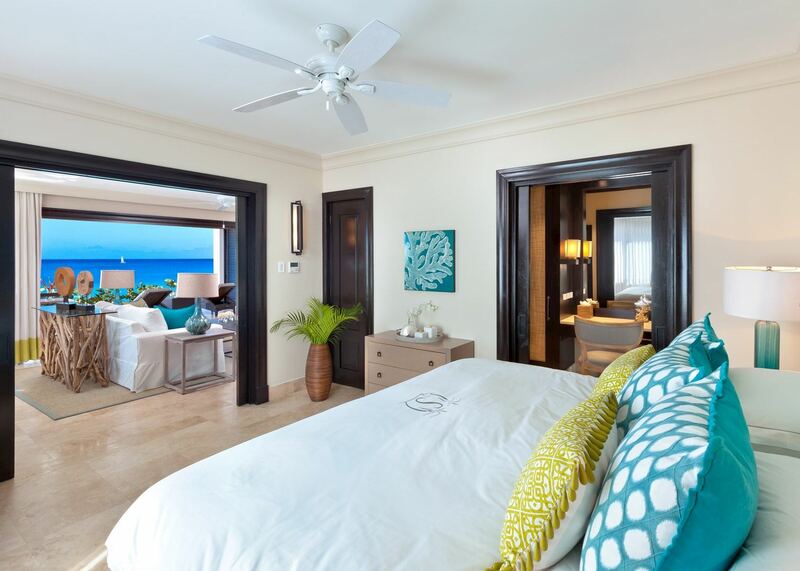 The two bedroom suites have a separate living room and kitchenette, two bedrooms and two bathrooms. These suites will accommodate five people and are great for growing families or groups of friends. These two suites have been thoughtfully designed in a more contemporary style than the other rooms and feature a four poster bed, sitting room, dressing room, fabulous bathroom and a wraparound terrace with private plunge pool. 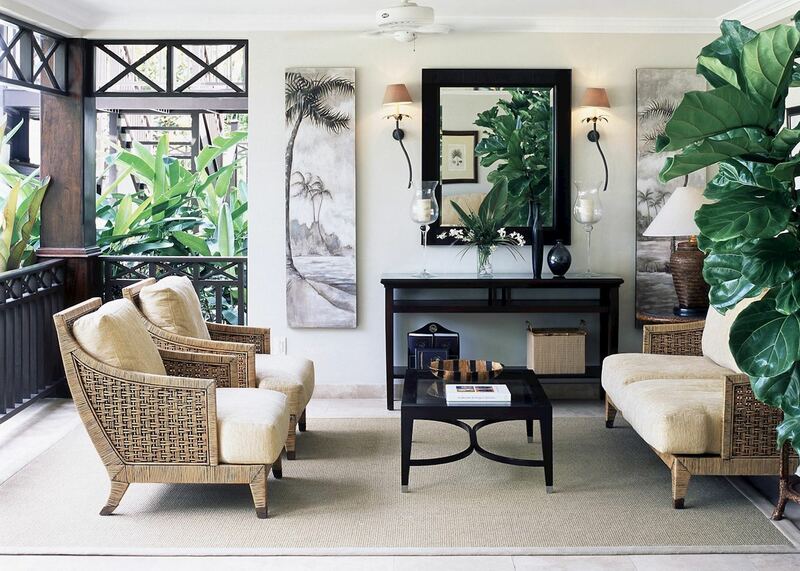 They get their names from their lofty position overlooking the surrounding palm trees. 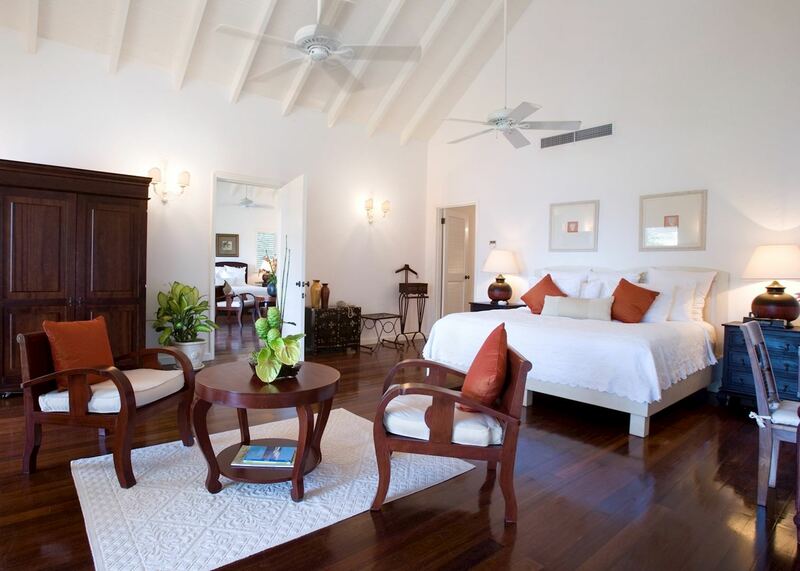 This suite is similar to the other tree top suites in that it has a wraparound terrace with private plunge pool as well as a sitting room, dressing room and four poster bed. 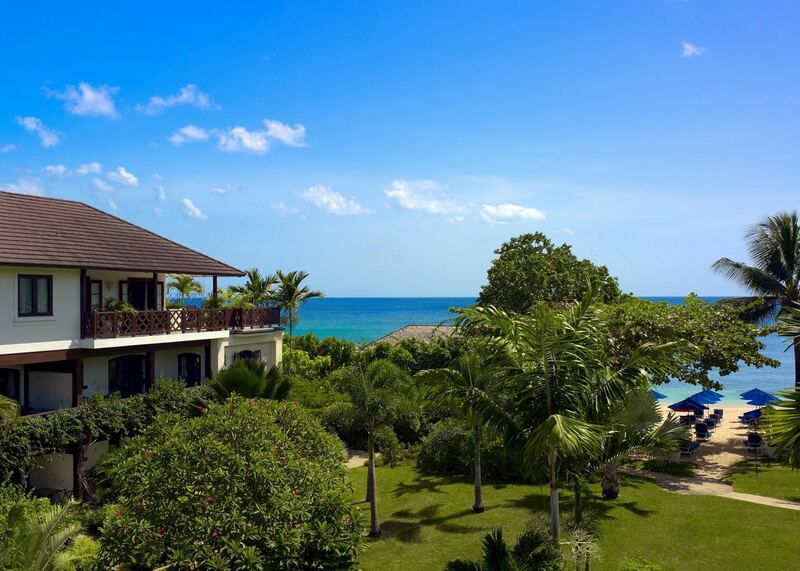 However, it also has an uninterrupted view of the sea as it sits right on the beachfront. 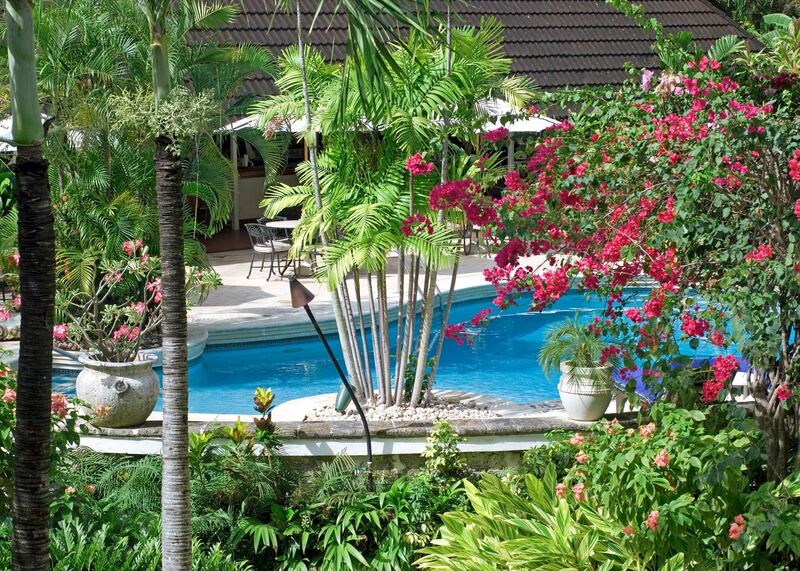 The Sandpiper has two pools; a small freeform pool and a 20m (65 ft) lap pool, as well as complimentary non-motorised water sports. 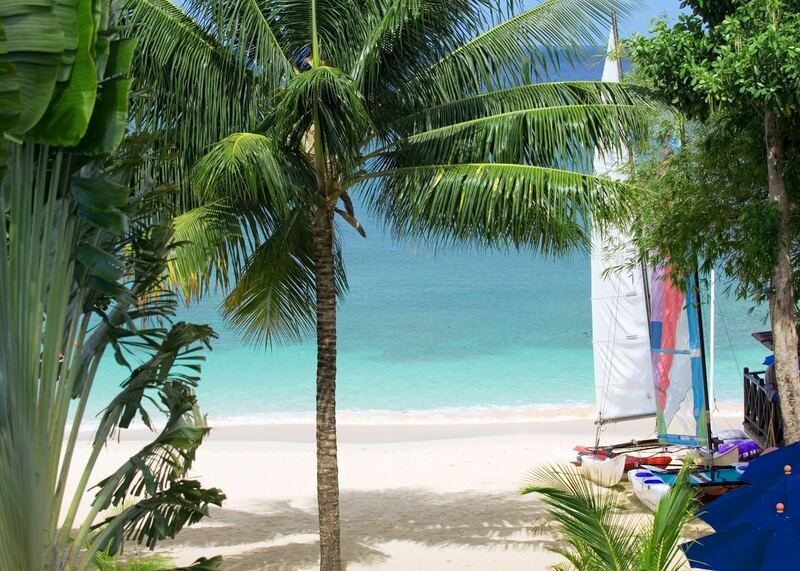 Choose from Hobie Cat sailing, kayaking, Laser and Sunfish sailing, paddle boarding and snorkelling. 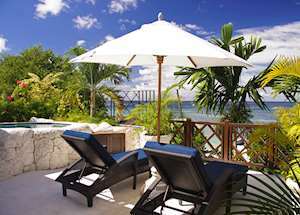 Back on land, there is a tennis court with resident professional as well as a gym. 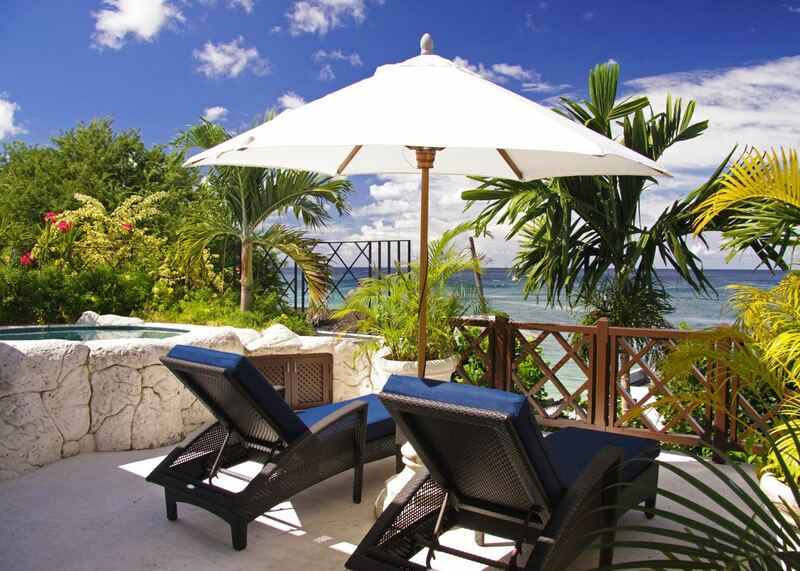 You can find a dive school operated by Hightide Watersports at The Sandpiper's sister hotel, Coral Reef, and full Padi and Naui certification is available. 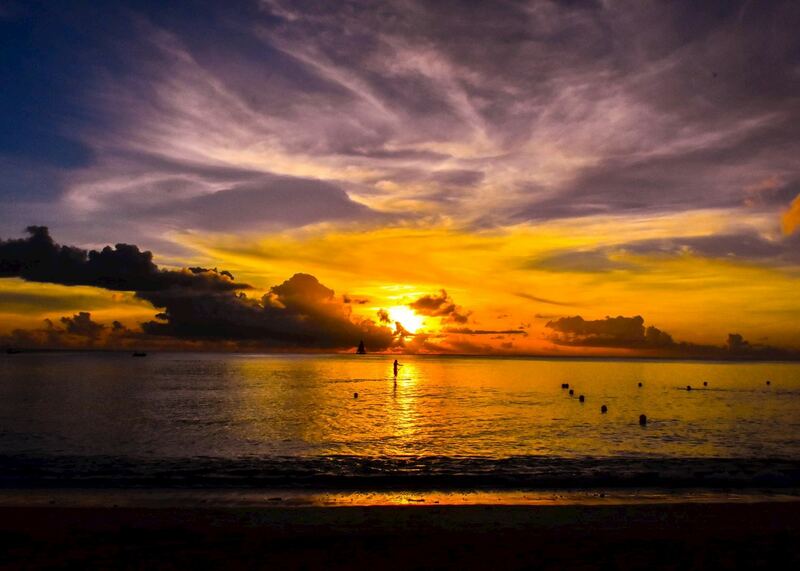 There are numerous diving sites on the west coast including Carlisle Bay which is home to five shallow wrecks; the Berwyn, Ctrek, Eillon, Bajan Queen and the Fox. The site is usually covered with tropical fish, small groupers and eels, as well as rare species including frog fish, bat fish and sea horses. 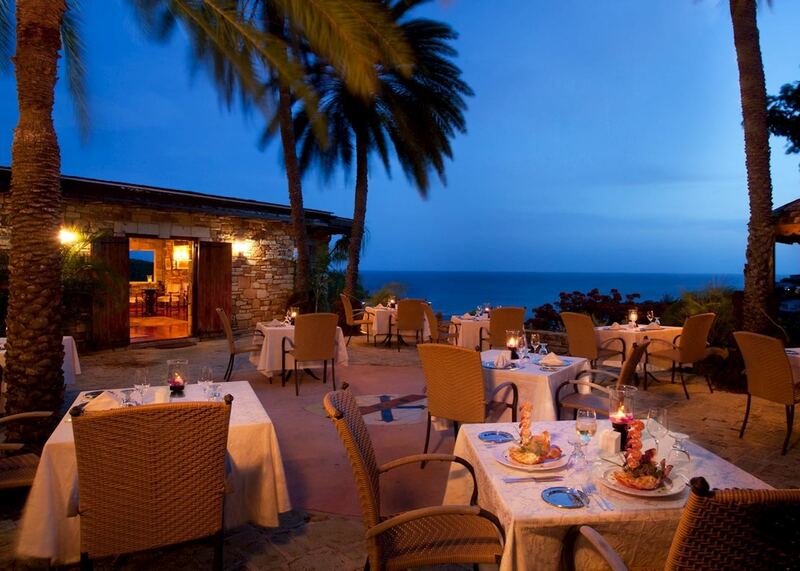 Simply named, The Restaurant is renowned for its food. 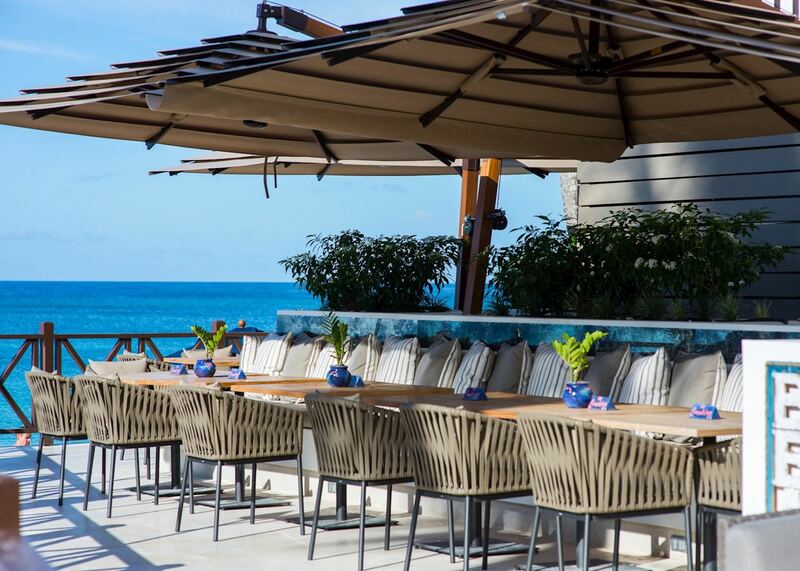 Expect creative dishes with a Caribbean flair from a dinner menu that change five times a week. They will also be happy to tailor-make dishes to meet dietary requirements. There’s a focus on high-quality local produce — we recommend the fresh-caught lobster dishes. 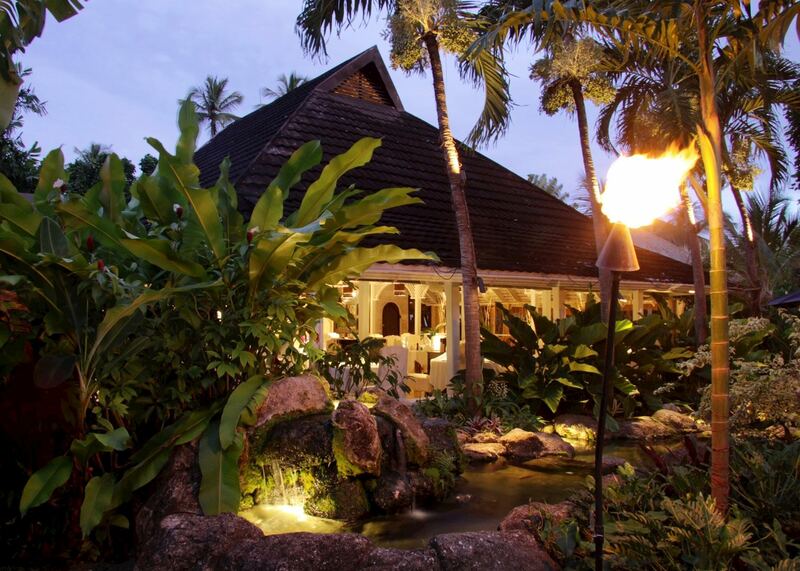 Open on three sides, the restaurant is surrounded by torch-lit gardens and tranquil koi ponds which provide a relaxed and romantic ambience. 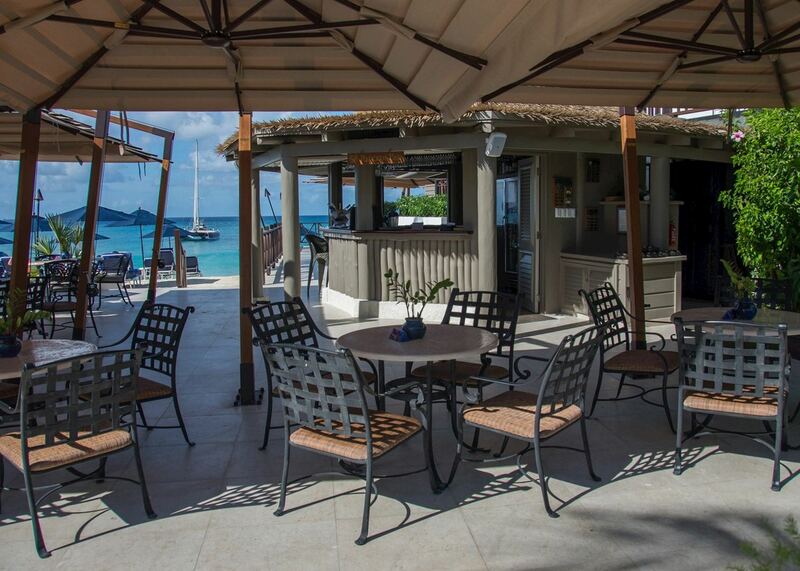 There is also an elegant cocktail bar adjoining the restaurant, and Harold’s Beach Bar is the ideal spot for al-fresco lunches or a sundown cocktail. 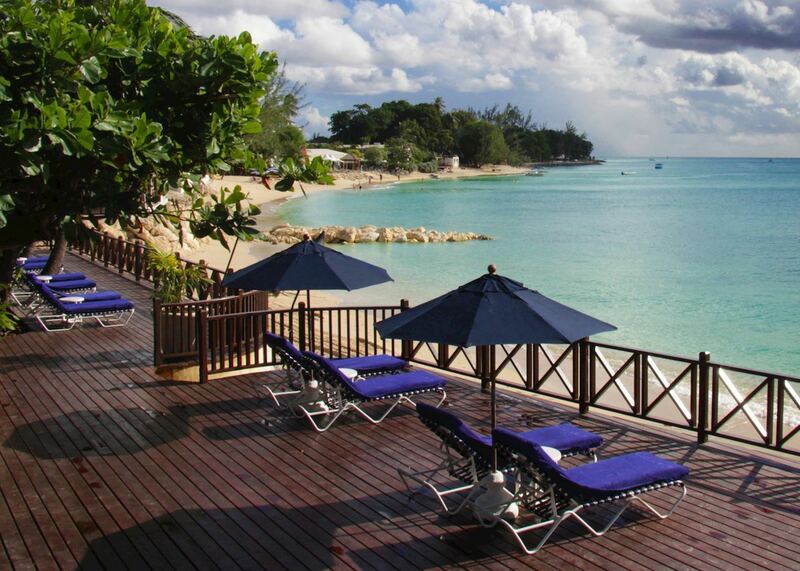 In the evening there’s usually low-key, live entertainment including jazz, calypso or reggae. 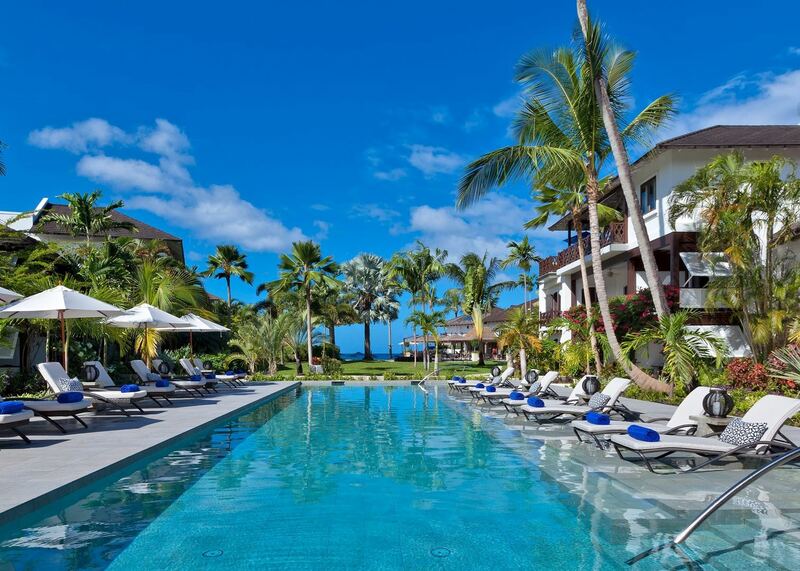 Although there’s no spa at The Sandpiper, we recommend the spa at its sister hotel, Coral Reef, which is 10 minutes’ walk away or two-minute drive (complimentary transfers are available). 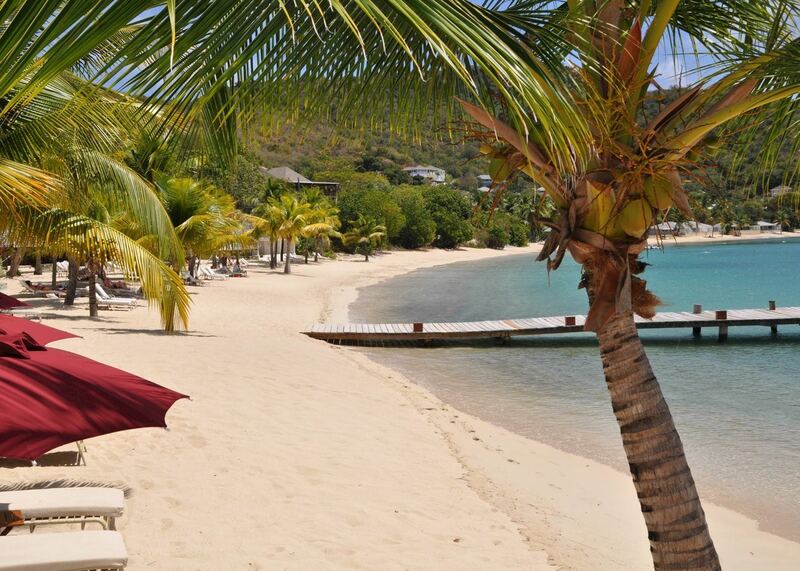 Antigua is said to have 365 beaches, one for every day of the year, but the island also boasts an impressive historical pedigree. 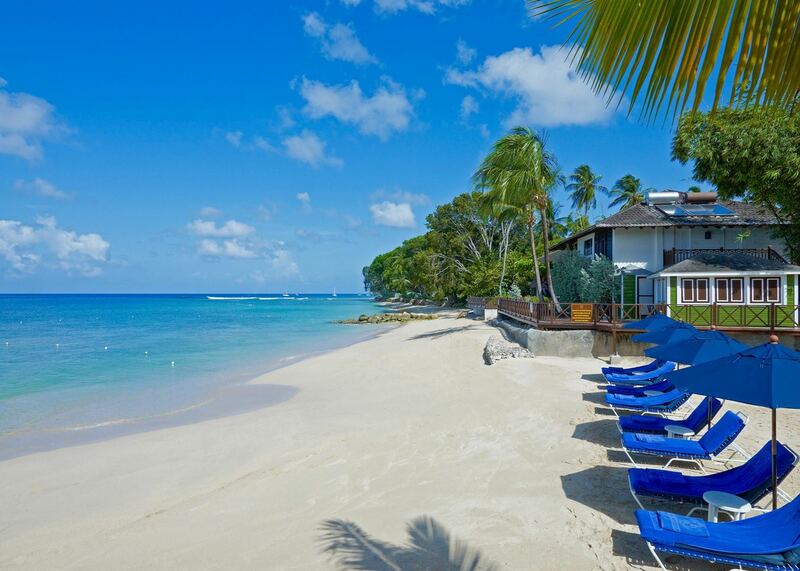 No less a sailor than Admiral Nelson based his fleet here, and the easygoing Caribbean ambience of the island is complemented by a tangible British influence. 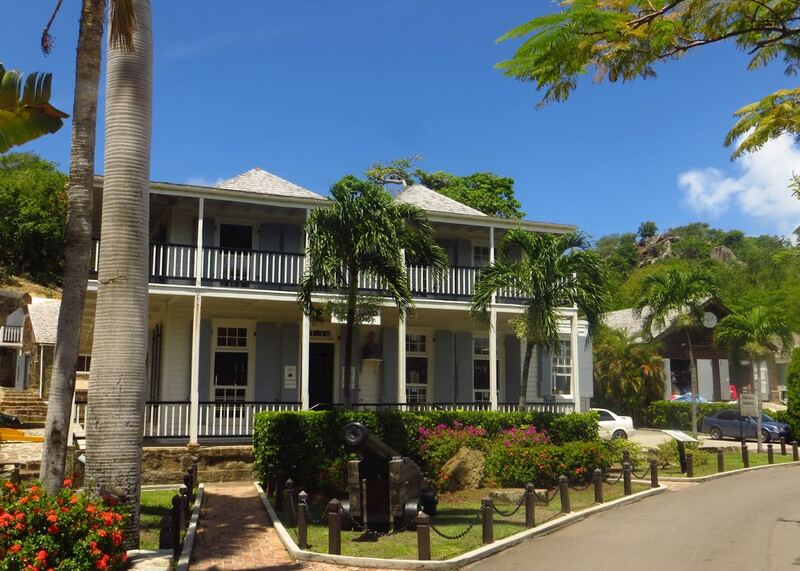 The historic Nelson’s Dockyard is testament to this colonial history, though the luxury yachts bobbing in the water hint at a more glamorous side to modern day Antigua. 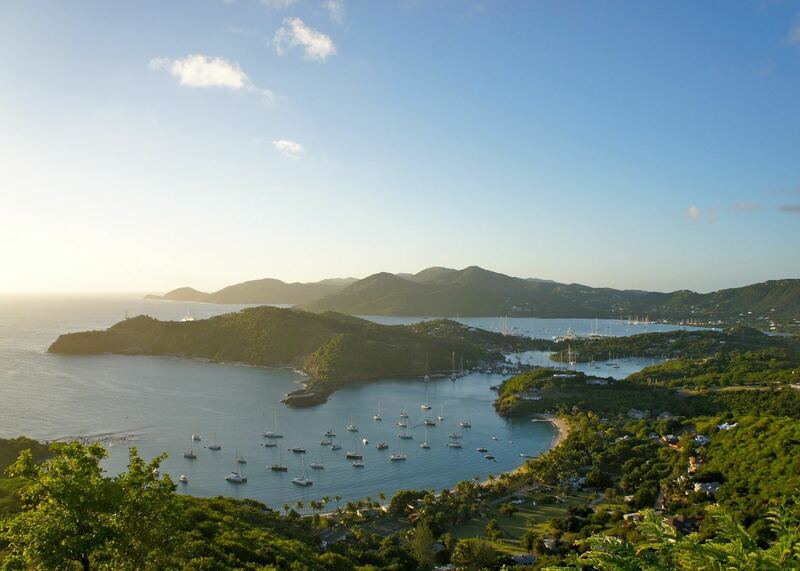 The people are incredibly friendly, and the island comes together to party every Sunday night as the sun sets at Shirley Heights, an old naval garrison overlooking the majestic English Harbour. 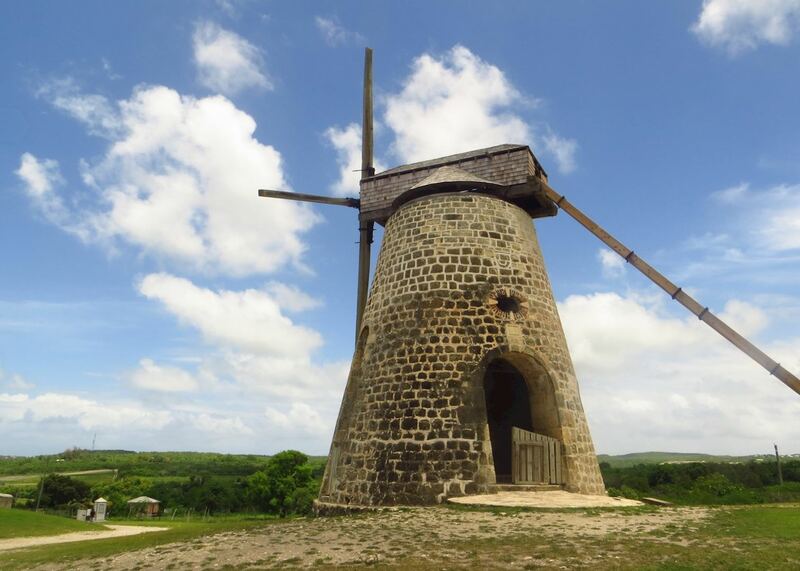 The brightly coloured buildings and duty free shopping of the capital, St John’s, make for an interesting half day excursion, while the south west of the island is home to a picturesque landscape of rainforest, ruined forts and old sugar mills. 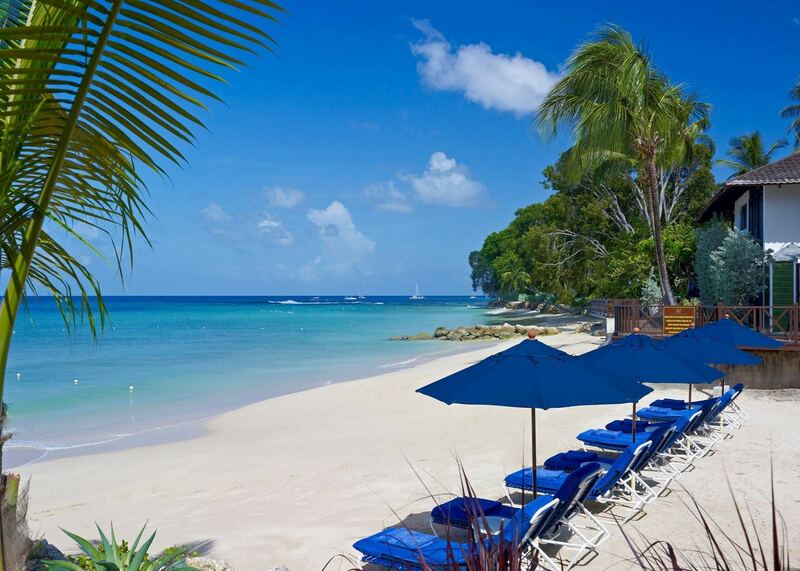 The beaches range from bustling stretches lined with lively bars to little visited bays and secluded coves. 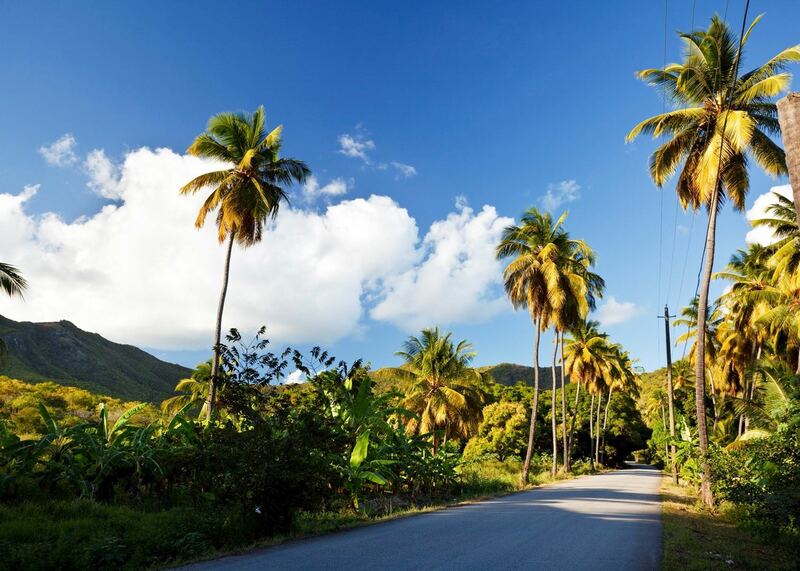 Escape the crowds by taking a trip over to sister island Barbuda, blessed with miles of unspoilt pink sands, or tread the road less travelled and explore Antigua’s rugged east coast, where conditions are ideal for a whole host of watersports. 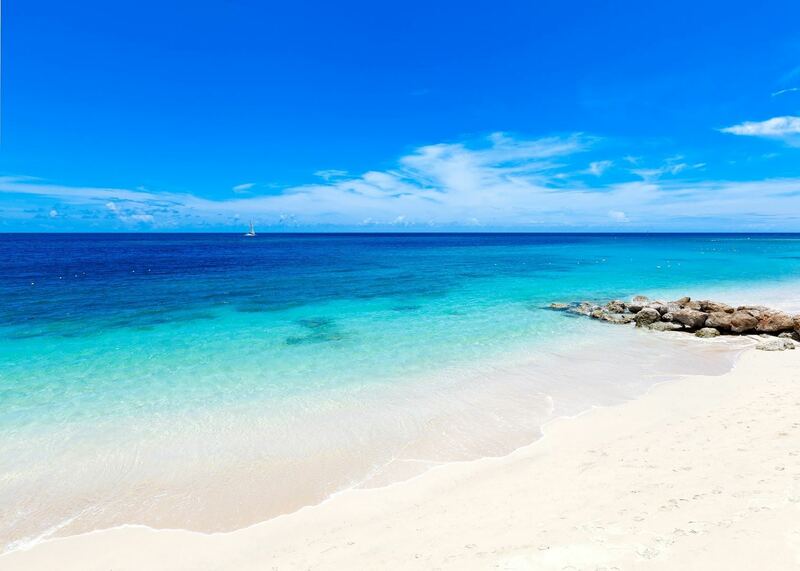 The more tranquil waters of the Caribbean Sea, meanwhile, offer ample opportunities for diving and snorkelling. 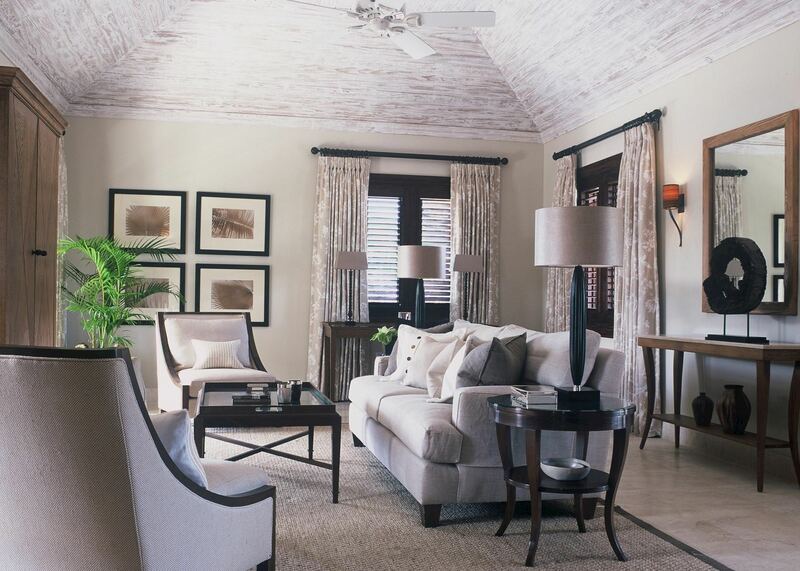 Owned and lovingly cared for by an Italian family, it's full of old fashioned charm and character; blending colonial heritage with Italian style in its furnishings and decor. 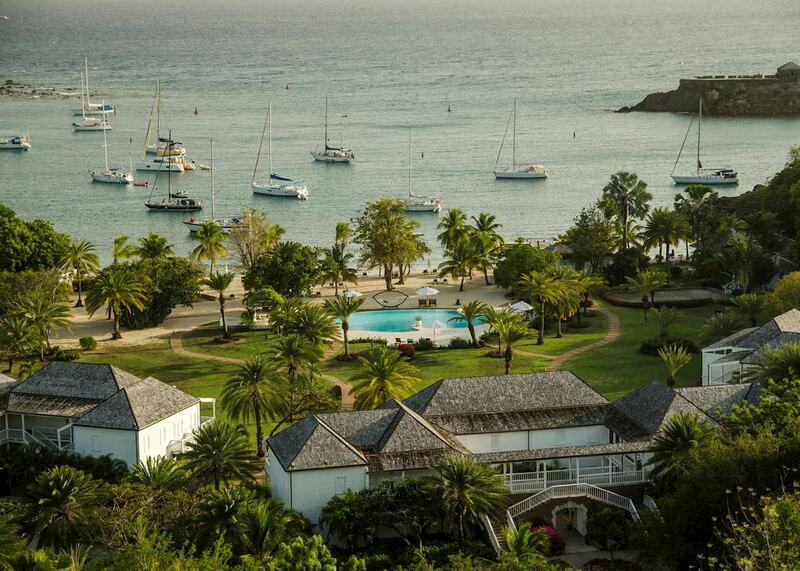 The hotel has breathtaking views of historic English Harbour; offering a wonderfully relaxed ambience and impeccable service. 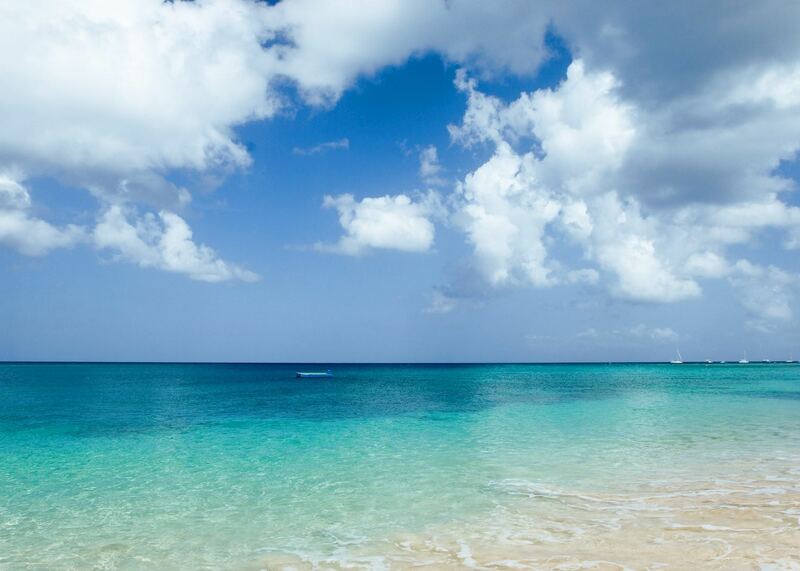 Fly to Antigua. 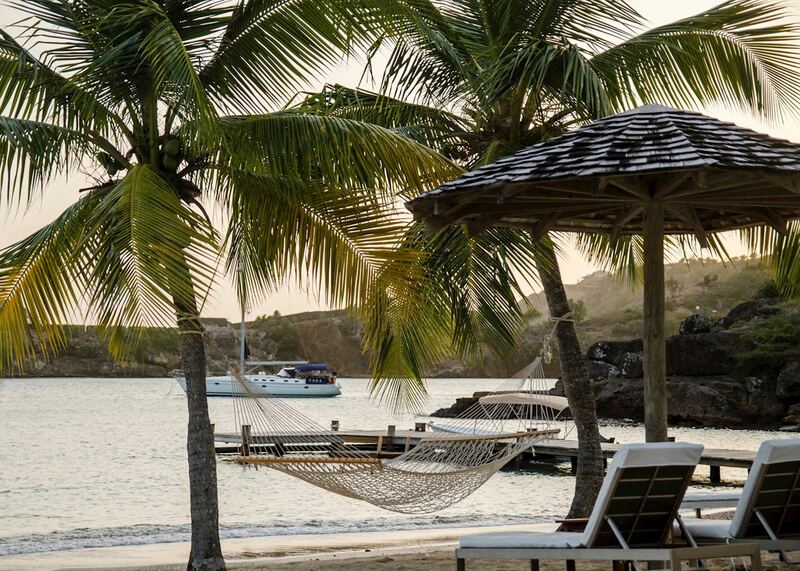 On arrival you will be driven to The Inn at English Harbour. Day at leisure. 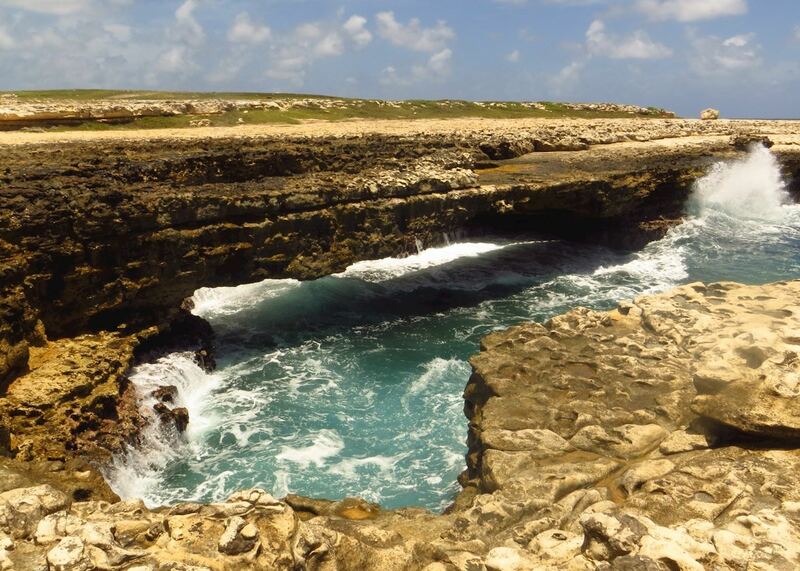 Why not explore one of the hiking trails leading from the hotel through the national park? 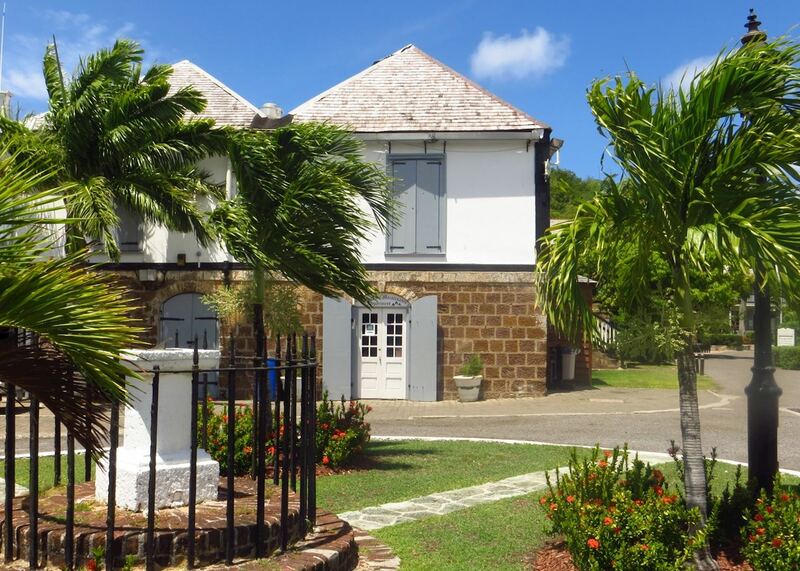 Today you might like to visit Nelsons Dockyard or perhaps take Fig Tree Drive through steep farmlands and coconut groves, past old sugar mills and churches. 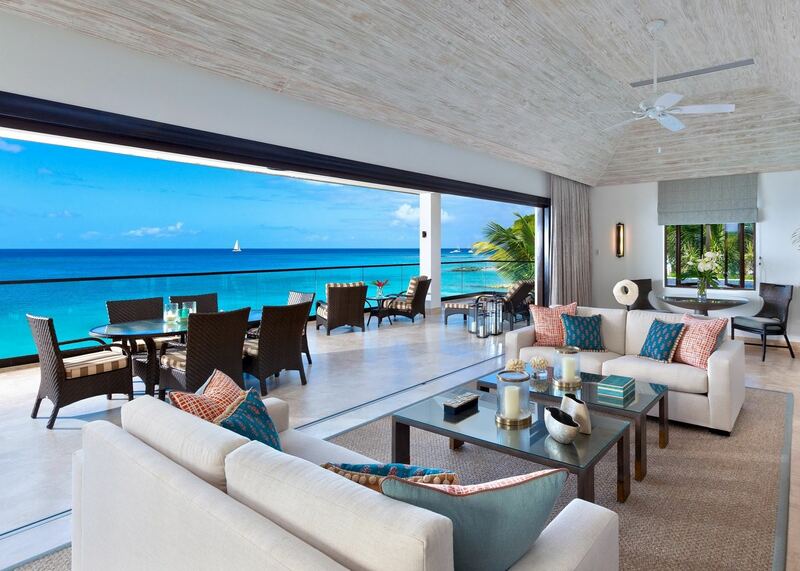 Take the ferry over to Barbuda's quiet, pink sand beaches or relax on the resort's beach overlooking English Harbour. 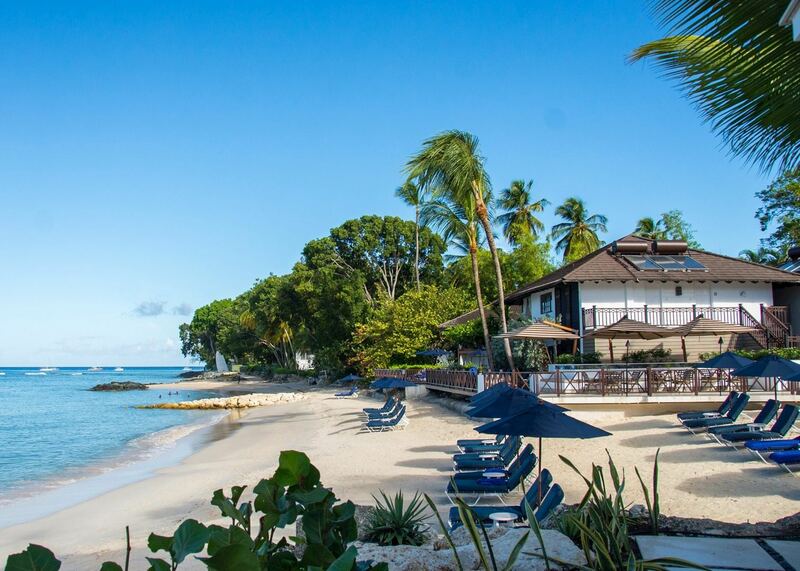 This morning you will be picked up in time for your short flight to Barbados. 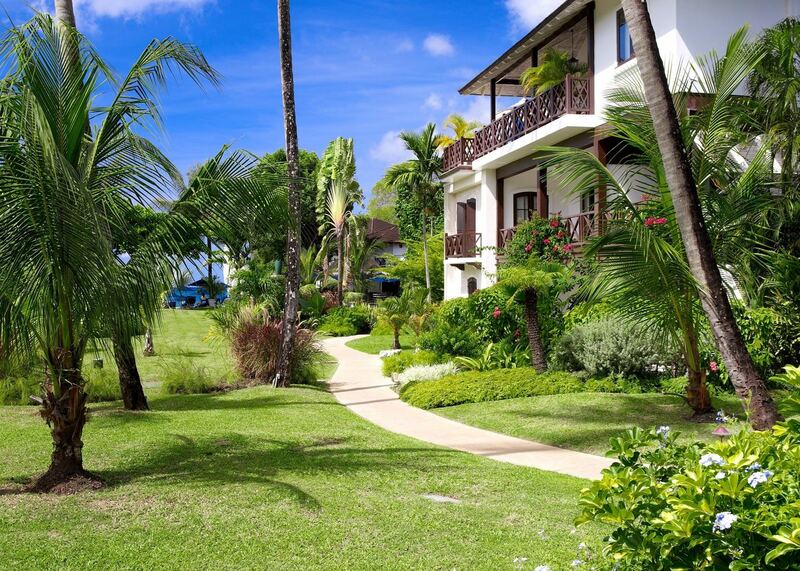 On arrival you will be driven to The Sandpiper for the following 5 nights. Day at leisure. 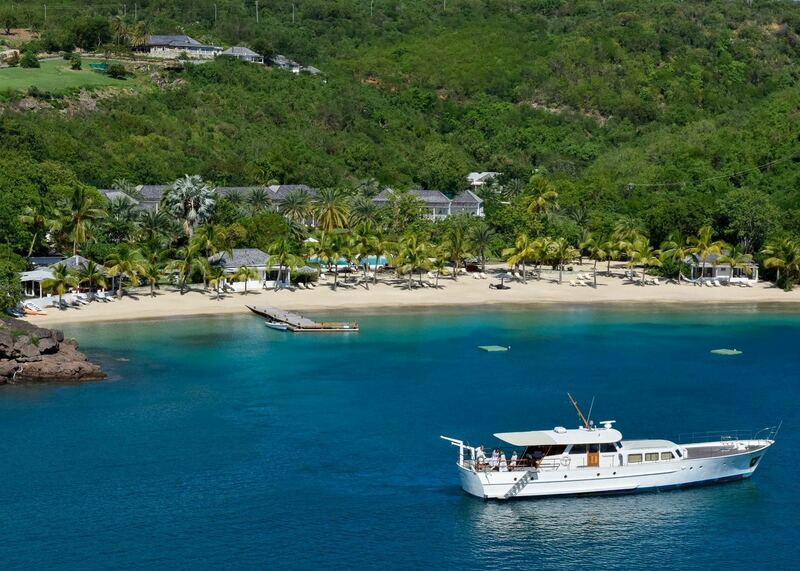 Why not take a boat trip along the beautiful west coast, stopping to snorkel at various bays along the way? You may even see turtles. 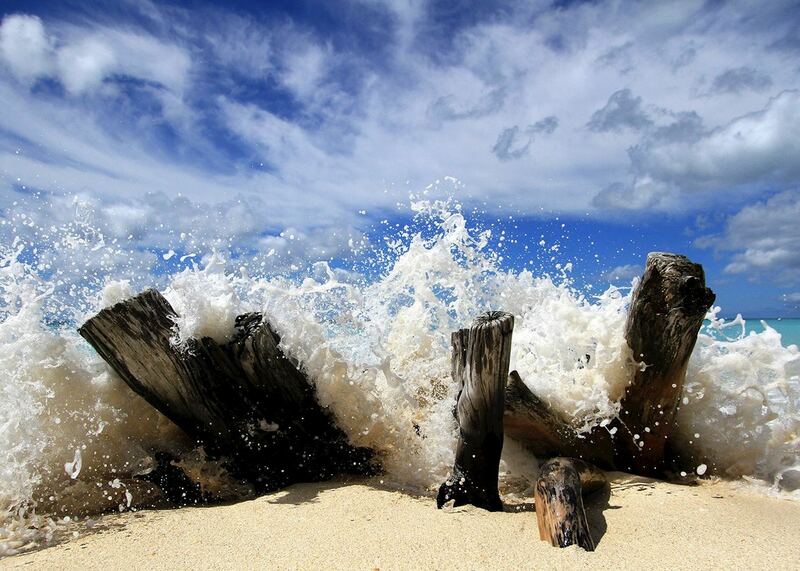 Discover Bridgetown's historic buildings or head east through rolling fields of sugar cane to the rolling waves of the Atlantic coast.